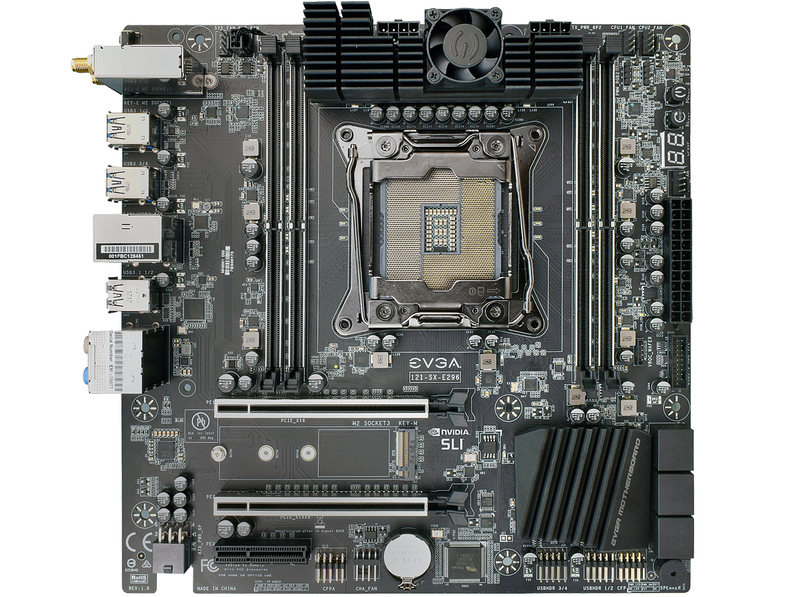 EVGA this week introduced its second-generation Micro-ATX motherboard based on Intel’s X299 platform. The new mainboard has an improved VRM configuration with more phases and a better cooling, which may enable a higher overclocking potential for Intel’s Skylake-X CPUs. 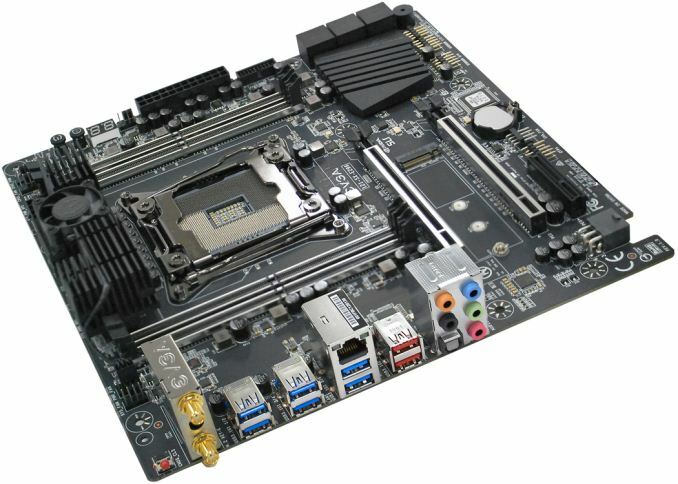 In fact, despite it miniature size, the motherboard has a number of features more typical of fully fledged ATX systems. The EVGA X299 Micro ATX 2 for LGA2066 processors relies on an eight-layer PCB and is equipped with a 14-phase digital VRM, one that is now cooled down using a large aluminum heatsink with a miniature fan. Meanwhile, just like in case of the original version, the new X299-based Micro-ATX motherboard from EVGA has two 8-pin EPS connectors to guarantee clean and stable power supply to a CPU in a bid to maximize its overclocking potential. When it comes to expansion capabilities of the EVGA X299 Micro ATX 2, the motherboard has four reinforced slots for DDR4 DIMMs (supporting up to 64 GB of memory), two PCIe 3.0 x16 slots for graphics cards or high-end SSDs (keep in mind that the exact amount of lanes depend on the CPU, Kaby Lake-X processors only support 16 PCIe lanes), a PCIe 3.0 x4 slot, and an M.2-2280 slot for SSDs. 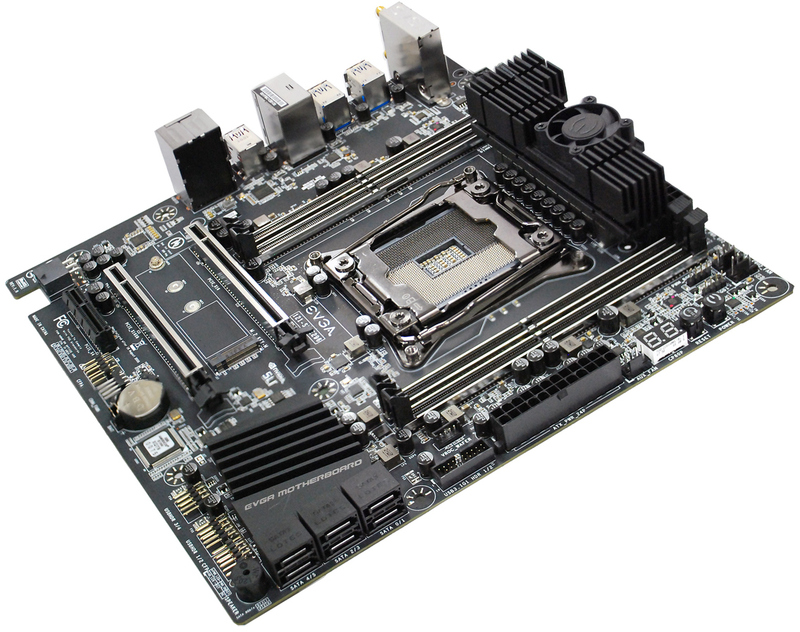 Besides, the motherboard also has six SATA ports for storage devices, a rather high amount for a Micro-ATX system. Moving on to connectivity. The EVGA X299 Micro ATX 2 is equipped with Intel’s Wireless-AC 8265 802.11ac Wi-Fi + Bluetooth 4.2 controller, Intel’s i219V GbE silicon, six USB 3.1 Gen 1 ports, two USB 3.1 Gen 2 connectors, four USB 2.0 headers (available through internal headers), 7.1-channel audio connectors (analog + Toslink), and so on. 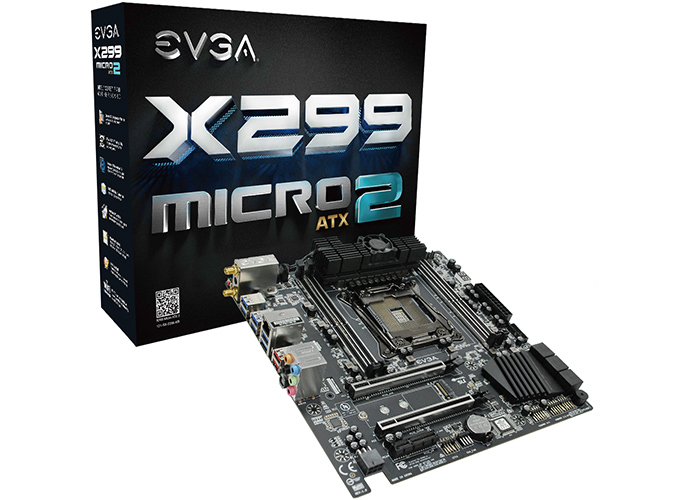 EVGA’s X299 Micro ATX 2 motherboard is now available directly from EVGA for $299.99 and will be available from leading retailers like Amazon as well as Newegg in the coming weeks or days. In the meantime, EVGA’s original mATX X299-based motherboard is now available for $186. I find this thing to be amazingly well designed for an mATX. This was amazing article that has all information on it this was amazing to have all details that was about to know. Roundup Powermax Herbicide contains 48.7% Glyphosate used as Weed killer. Check Roundup powermax label and roundup powermax mixing ratio in bottom for direction of use. Great, the new mainboard has an improved VRM configuration with more phases and a better cooling, which may enable a higher overclocking potential for Intel’s Skylake-X CPUs.